New York.– The United States Postal Service has renamed a Harlem post office facility in honor of the Tuskegee Airmen, a group of African-American pilots who fought in World War II, following passage of a bill by Rep. Adriano Espaillat (NY-13), which was signed into law earlier this year. A ceremony was held Monday at the post office on Macombs Place, which will now be known as the Tuskegee Airmen Post Office Building. 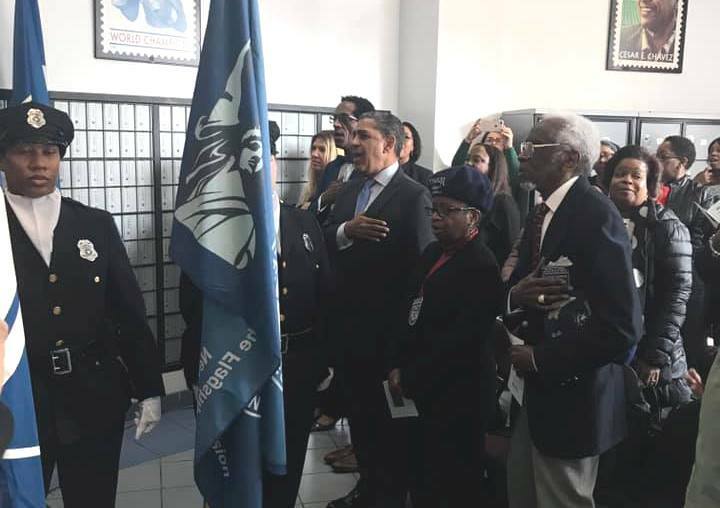 “Renaming this post office facility after the Tuskegee Airmen is a fitting tribute to honor their memory and contributions to this country,” said Rep. Adriano Espaillat (NY-13). During the event, Rep. Espaillat was joined by city and state leaders, and recognized the service of Wilfred R. DeFour, Sr. who served as a Tuskegee Airman and recently celebrated his 100th birthday.